For all you minimalists out there without fancy cooking equipment, you can still cook fancy. All you need is a clean bowl and a sturdy whisk to transform runny egg whites, into a fluffy, full masterpiece. 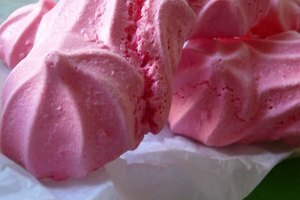 Whether you use them to make meringues or pavlovas, or as part of another recipe, you can quickly whip the whites to the consistency you need without using a single kilowatt of electricity. To achieve the best results, follow these simple steps and guidelines. Note: room-temperature egg whites whip more efficiently than those that are chilled. If you're short on time and the whites are still in the fridge, fill a large bowl with hot water and nestle your bowl of egg whites inside it. Stir the egg whites occasionally, letting the bowl rest in the hot water for 2 or 3 minutes. This will bring them to room temperature without the wait. Start whipping the whites slowly, moving the whisk back and forth the width of the bowl to break the egg whites up. Continue this back and forth motion, increasing your speed until the egg whites are foamy. At this point, the egg whites should be somewhat firm, but still liquid enough that they don't hold their shape. Begin moving the whisk vigorously in a circular motion. Intermittently lift the whisk up out of the bowl and then back into the egg whites, then periodically turn the whisk upside down. Once the whites reach the soft peak stage, you'll notice that a peak just begins to emerge when you lift the whisk out of the bowl. Continue vigorously whisking the egg whites in the same circular motion. When they reach the firm peak stage, peaks will hold in place when you turn your whisk upside down, but the tip folds back. When the peaks hold strong without any hint of collapsing, the whites have reached the stiff peak stage-- that's how you'll know they're done. 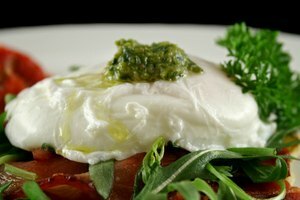 Why Won't My Egg Whites Stiffen?